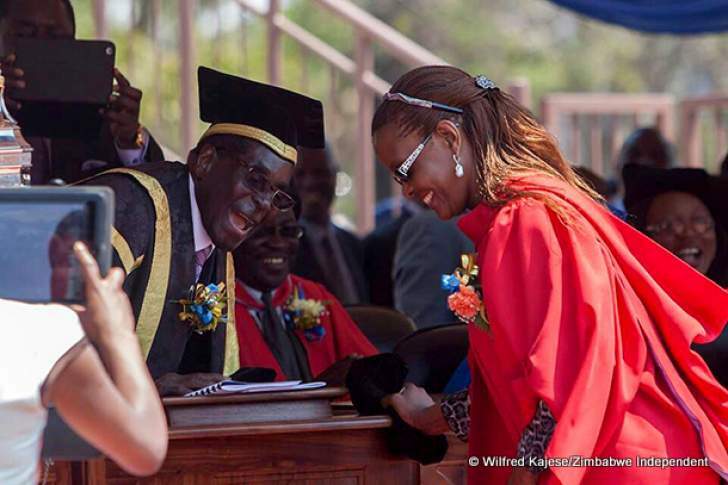 Exiled former G40 Kingpin Professor Jonathan Moyo risks having his University of Zimbabwe acquired degrees withdrawn if ousted UZ Vice Chancellor Levi Nyagura is found guilty of awarding former First Lady Grace Mugabe a fake degree. This was revealed by senior journalist and Herald columnist Reason Wafawarova. "Professor Jonathan Moyo was assigned to personally organise a PhD for Grace Mugabe, and he is the one who approached Nyagura with the idea." Wafawarova claimed. "Grace's fake degree will be revoked together with Nyangura and Moyo's UZ awarded degrees." Moyo responded to Wafawarova saying the degree which Grace acquired was during the time when Dr. Olivia Muchena was in charge of the Ministry of higher and Tertiary education. "Thankfully the fatal problem with your fiction is that Mrs Mugabe got that PhD in 2014 when Dr Olivia Muchena was minister of higher and tertiary education and I was minister of information." President Emmerson Mnangagwa suspended Nyagura for awarding former First Lady Grace Mugabe a Doctor of Philosophy degree (PhD) under controversial circumstances. Wafawarova attacked Moyo calling him an ignorant person. "Jonathan Moyo is the most insincere and unethical human being of our time. He is a stand for nothing crook masquerading as a renowned intellectual. But real intellectuals know him for who is. He has a constituency of the ignorant." When Wafawarova was asked what will happened to other degrees that Moyo acquired from other universities he said, "It would be up to those universities to take a decision on the cheating Professor."